Back in February, our Student Curators, Nik and Solomon (reps from the University Trans and Non-Binary Liberation and LGBT+ Liberation Societies) together with Library staff and the SU, put together a display of Library resources to celebrate LGBT History Month. We’re pleased to announce that 32 new book titles were suggested for purchase, which have helped to diversify and develop the Library collections further. As the Librarian helping to co-ordinate this Student Curator project, I’ve been impressed with the suggestions for new resources and am glad to be able to help add them to our library. When reviewing the books for purchase I noticed the variety of non-fiction and fiction, including academic texts and resources for wider reading. I agree with Nik that they provide ‘an all-round enriching experience’. Personally I have become much more aware of equality and diversity issues and the importance of increasing the visibility of LGBT people their lives, history and experiences due to being part of this project and helping to bring the library collection together. 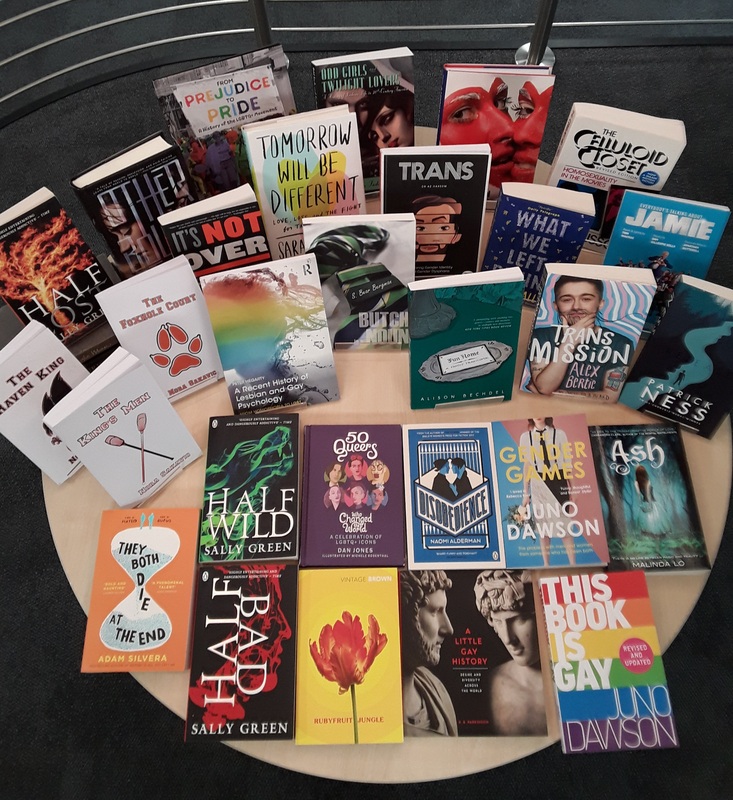 I also feel the selection of new titles will have wide appeal and are relatable to all; while ensuring greater LGBT representation in our collections, I also feel the books encapsulate the student journey as a whole. Joining and accepting a diverse community of people from different backgrounds and cultures is part of University life: a time of adjustment, transition, finding yourself, experiencing new things and learning beyond your academic studies is applicable to everyone. I hope you enjoy the resources we have brought together as part of the LGBT Student Curator project. Look out for future student curator displays, the next one is coming soon later this month.